Unlike many of the scandals that have triggered billion-dollar penalties for banks, the problems that led to a 10-figure federal government settlement for Wells Fargo & Co. don’t appear to have colorful emails or trader messages describing bad behavior. Wells Fargo’s WFC, -0.02% risk management already resulted in an unprecedented Federal Reserve sanction of having its growth limited. 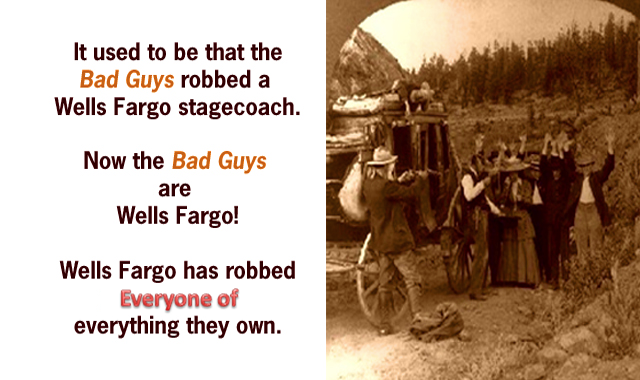 Wells Fargo, keep in mind, was fined by the CFPB and other regulators after opening millions of customer accounts without permission. To hear the OCC tell it, Wells Fargo did not establish “effective first and second lines of defense,” execute on a comprehensive plan to address compliance risk management deficiencies, fill mission-critical staffing positions, implement a reliable risk assessment and testing program and report compliance concerns adequately to the board. From there, the regulators found some bad behavior. One problem was with mortgages, which is a big deal considering Wells Fargo is the nation’s largest originator of mortgage loans. In September 2013, the bank enacted a new nationwide policy on locking in interest rates for mortgages. If a rate-lock extension was made necessary by borrower-caused delays — for example, when a borrower didn’t return necessary documentation or disputed a low appraisal — then a fee would be charged. But if it was because of lender-caused delays — say, delays to receiving necessary information or internal processing — then the bank would cover the fees. That is a perfectly legal policy if it’s applied. It wasn’t. According to the CFPB, within days of rolling out the new policy, the bank realized in internal communications that its guidelines for loan officers were inadequate. For nearly three years after an audit first identified risks for consumer harm, an internal audit Wells Fargo inconsistently applied its policy and charged borrowers extension fees when it shouldn’t have. It wasn’t until March 2017 that Wells Fargo substantially changed its extension fee practices. The other problem was with auto insurance practices. When borrowers get a loan secured by a car or truck, they quite naturally need to have insurance in case there’s physical damage to the vehicle. If a borrower didn’t get or maintain insurance, the bank was allowed to acquire insurance on the borrower’s behalf and make the borrower pay for it, with interest. Again, that’s a perfectly legal practice. The problem for the roughly 2 million borrowers the bank forcibly placed insurance on since 2005, is that hundreds of thousands were unnecessary, according to the bank’s own audits. In addition, when some customers did get adequate insurance and provide proof, the bank still kept the forced-placed policies on accounts or didn’t refund the premiums, or related fees and charges including repossession fees. Wells Fargo even received briefings on these problems, not to mention quarterly reports from its vendors and its own daily reports. Those premiums weren’t cheap, either — typically over $1,000 a policy. For at least 27,000 customers between 2011 and 2016, the additional costs of the insurance could have contributed to a default that resulted in the repossession of their vehicle, the CFPB said. The $1 billion fine will result in an additional $800 million accrual in the first quarter, which will reduce first-quarter earnings per share by 16 cents, to 96 cents a share. The $800 million accrual is not tax deductible, Wells Fargo said. Wells Fargo shares rose nearly 2% on Friday but are down about 2% over the last 52 weeks, compared to the 14% advance for the S&P 500 SPX, +0.37% over the same time period.